Barcelona is a beautiful city. It´s also a very big city. Walking to all the sites in a matter of hours is impossible on foot, but very attainable by vehicle. Take a look below to learn about how our private driving tours work, where we like to go on our tours and how you can book a private driving tour with Barcelona Experience. A driving tour with Barcelona Experience will bring you Barcelona´s best in the most efficient, comfortable way possible. Step off your ship and into one of our climate-controlled, spacious vehicles. See the city from shore to mountains. Return in time to share your adventures with your fellow travelers . Do it all with the assurance that, in all of our hundreds of driving tours, none of our clients have been late for their ship. Talk with your guide (we always use a guide and a driver) about Barcelona´s past and present as you bypass the hassle of public transportation on your way to the city´s many famous sites. Door-to-door. We pick you up and drop you off exactly where you want us to, whether it's a cruise ship terminal, an airport terminal or a hotel. Our guides are not our drivers. This means they can spend their time interacting with you instead of interacting with the road. Realistic itineraries: We don't rush you from site to site trying to cram in a day´s worth of places in four hours. Take your time to see it all. Reliable & punctual: None of our clients have ever missed their ship or flight. Harder-to-reach locations are possible with a private car. Your luggage is safe because you can store it in our vehicle. Your driver always stays with the vehicle. Comfort is king as you relax in a spotless, climate-controlled, non-smoking, spacious van. Efficient: Cover more ground in less time since you won't be walking or using public transportation. No wasted time figuring out metro/bus schedules, or waiting in line for a taxi at the cruise terminal. Enjoy the flexibility of having your own driver … stop where you want, when you want. Buses and trains can´t make u-turns. Service-oriented: Attentive, professional, friendly and personal. Buy a blank canvas in the form of a half-day or full-day driving tour. Then, add the colors and contours of your choosing. 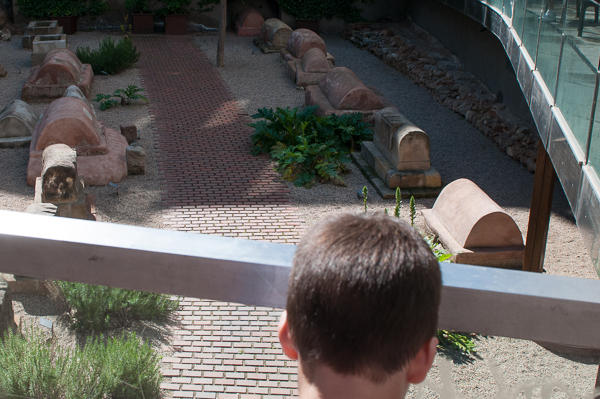 Some clients love Barcelona´s diverse community of museums. 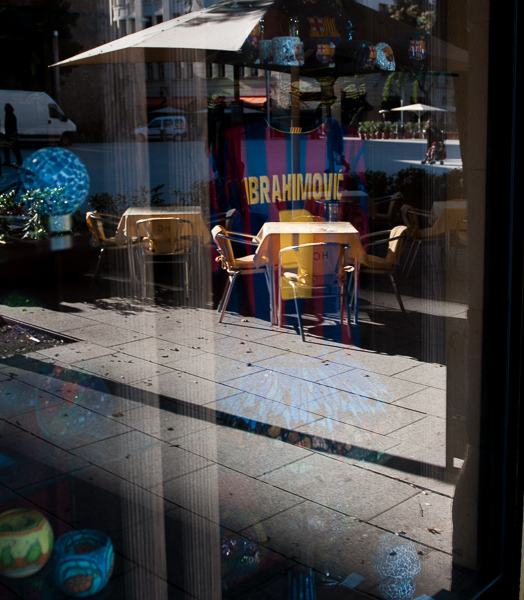 Others come for the restaurants, or the cathedrals and churches, or the city´s famous Barcelona Football Club. 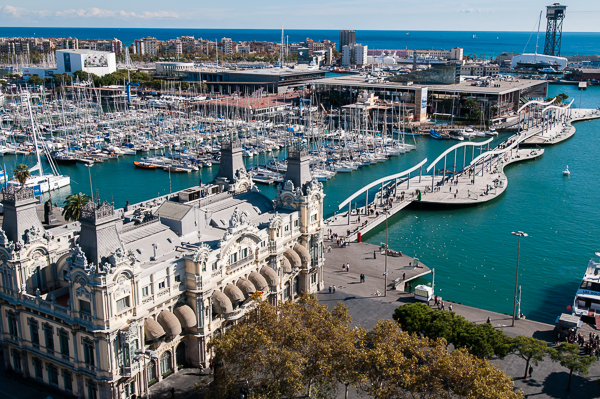 We work with you to create the travel masterpiece you envisioned when you first decided to experience Barcelona. Usually, we send you some sample itineraries of previous trips we´ve done. Specify where you want us to pick you up and drop you off. Add and subrtact sites and stops. Or, send us the itinerary you've already researched and refined (if that´s the case, contact us to book your half-day or full-day driving tour). We help make itineraries that emphasize a leisurely pace which allows you to enjoy each site, rather than feeling hurried or rushed to make it to the next location on the schedule. 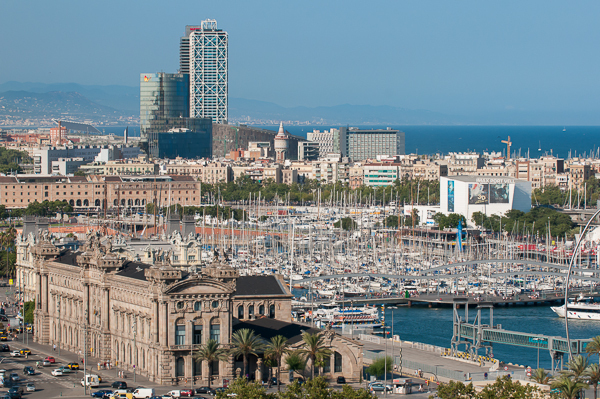 The finished product of your planning and our expertise will be a masterpiece you'll remember long after you say goodbye to Barcelona's bustling streets. The day of your tour we'll pick you up in your private vehicle. 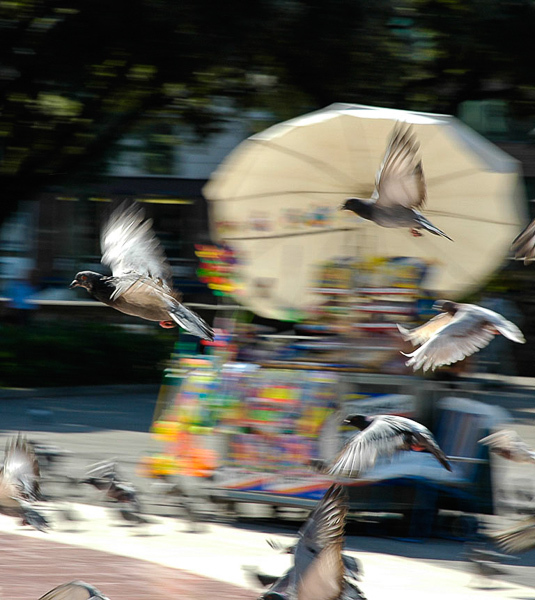 Your guide will pepper your tour with lively banter about the city´s rich past and present. Experience the history first-hand. Breathe the Mediterranean air. Feel the stones of the cathedrals and monuments. 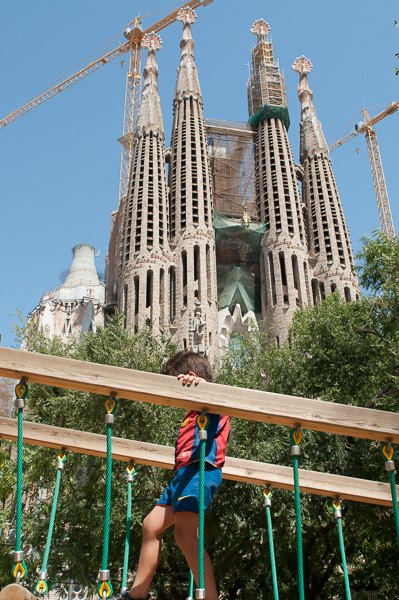 Stand starry-eyed before the wild works of Antoni Gaudí. More than a glorified taxi service, our driving tours are marked by attentive service, friendly guides, custom-designed itineraries and the comfort and privacy of your own vehicle. The truth is that most tour companies include the same sites in their private driving tours: Sagrada Familia, La Pedrera, Montjuic, Olympic Stadium, Eixample, the Old City and so on. 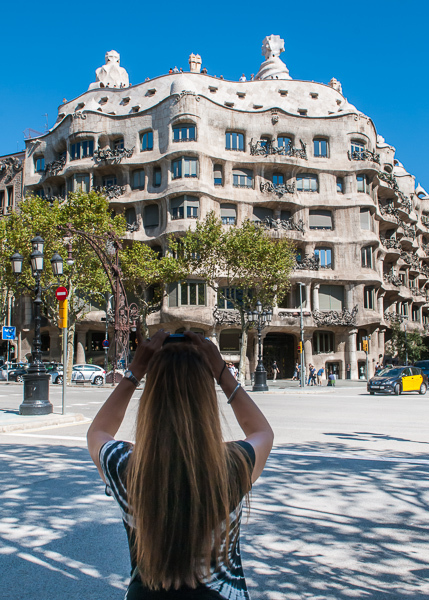 Barcelona's sites always dazzle our clients, but we believe that who you spend your tour with can be just as important as what you are touring. Each person is unique, with their own views, stories and personality. This makes each tour different, fresh and exciting ... all thanks to you! We look forward to each tour as it provides us with a chance to meet you, share ideas and walk together on the same path. Off course there are the sites, the history and the great views, but, we strongly believe that what makes the greatest difference is who you will be spending your day with. Our guides are fun loving, well informed people who want to share the city with you. We love meeting you, listening to your stories and above all, seeing the city all over again through your eyes. 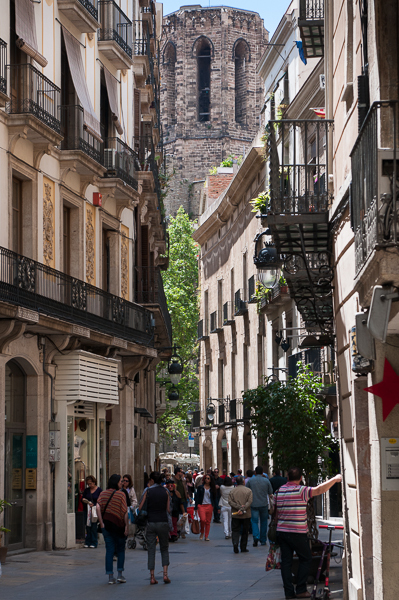 You´ll feel like part of the family as we show you Barcelona's amazing cultural landscape. We talk, you talk; a two-way dialogue promotes learning. A one-way deluge of facts and figures promotes exhaustion. Our private day tours aren't just about learning – they´re about living to the fullest in the few short hours you have in one of the Mediterranean's most beautiful cities. 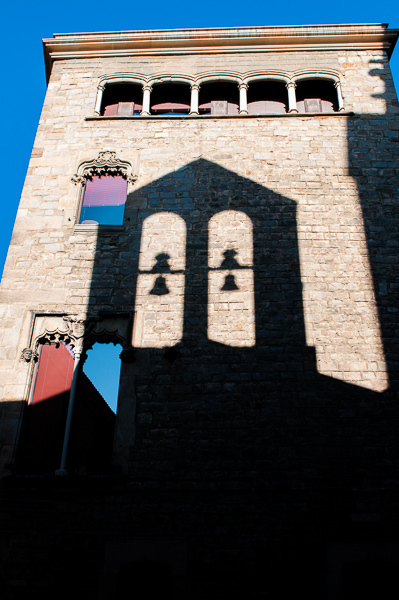 We want you to fall in love with the city that captured our hearts when we first started Barcelona Experience. A view of "Port Vell", the Old Port, as seen from a point on Montjuic. This tour is designed to give you a little bit of everything of everything. You'll gain an overview, layout and understanding of the city as a whole. The Highlights tour is perfect for the Barcelona first-timer. Never rushed, our tours allow you to savor each stop. Morning pickup at your cruise ship, hotel or apartment. 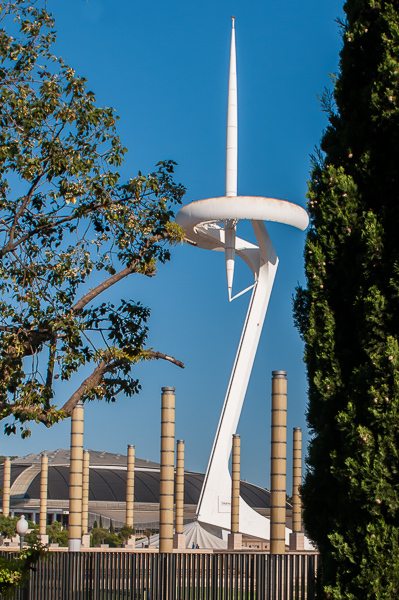 Montjuic- Put an exclamation point on the beginning of the day as you stand atop Montjuic, Barcelona's "Green Lung". Get a bird´s eye view of the city. 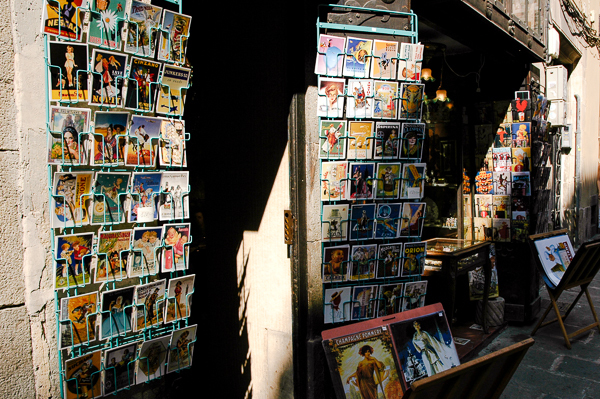 Gothic Quarter- Head to the Gothic Quarter, a delightful neighborhood thriving with local flavor, hidden plazas and narrow walkways. Lunch time- Enjoy a delicious lunch at a local restaurant. Park Guell- Walk the magical pathways of Park Guell as you enjoy breathtaking views of Barcelona. La Sagrada Familia- Visit Sagrada Familia, where Gaudi's architectural genius leaps from the stones of this iconic cathedral. The end of a great day- Return to your cruise ship, hotel or apartment. 6 or More Contact us for a proposal based on your group size. Book Now Click here to begin the booking process for your half-day Barcelona Highlights private car shore excursion. Book Now Click here to begin the booking process for your full-day Barcelona Highlights private car shore excursion. Start time: You can choose your starting time during the booking process. We suggest an early start. These schedules are suggestions. Each client is different. If our schedules don´t fit your time frame, let us know when you need to start and when you need to finish your tour. Contact us about your specific requests. Transportation: All of your transportation costs are included in this driving tour. We use modern, comfortable vans for our smaller groups and mini buses or full-size buses for larger groups. All fuel, parking, tolls etc. are included. Food & drinks are not included: To allow you the flexibility of choice and preference, the cost of your meals are not included in the cost of the tour. You decide where, when and what you want to eat. Your guide and host will have suggestions for you. Lunches typically cost between 10 and 25 euros per person. Your guide's meal will be included in your lunch bill for full day tours. Entrance fees: Let us purchase your tickets in advance to ensure easy access to the sites. Choose this option during the booking phase. 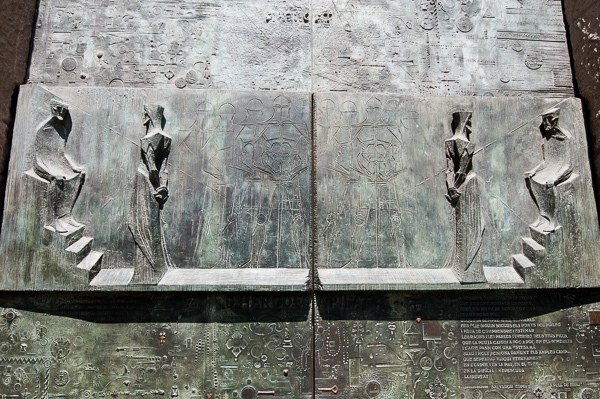 Some details found on one of the doors leading to the interior of the Sagrada Familia. Creativity inspired by nature, a flair for the dramatic and a laser-like attention to detail characterize famed Catalan architect Antoni Gaudi´s work. 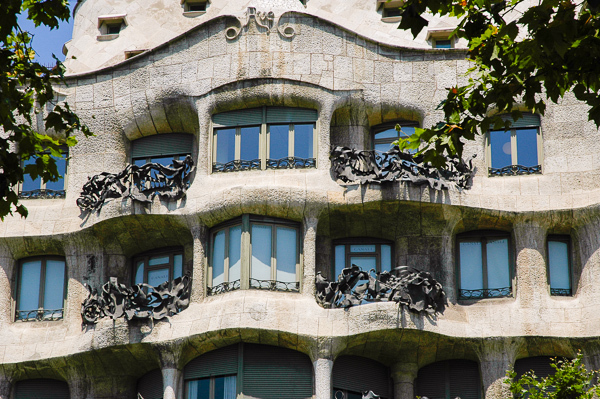 We'll take you inside and three of his most famous creations: Sagrada Familia, Casa Mila (La Pedrera) and Park Guell. By the end of the day you will be able to recognize a Gaud creation immediately, understand the man and his work and the motivating factors that made him one of the most unique and original architects the world has ever seen. -Morning pickup at your cruise ship, hotel or apartment. 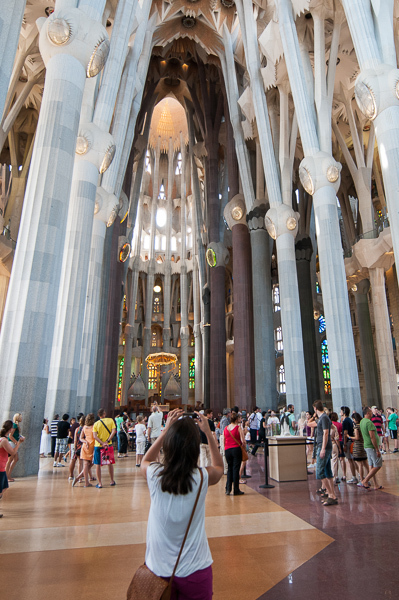 -Enter the hallowed heart of the Sagrada Familia, arguably the most recognized basilica in the world. 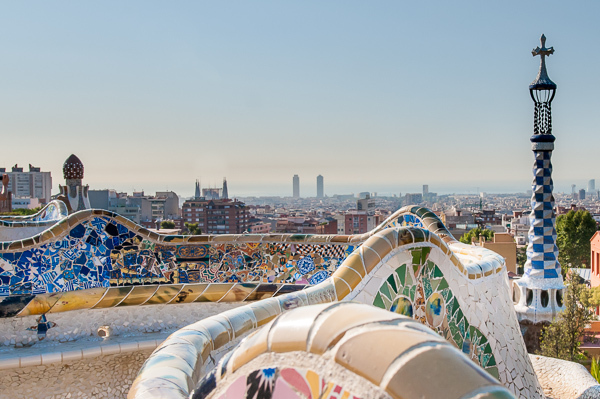 -Head to Park Guell, where you'll see another side to Gaudi´s genius: rolling, playful designs amid green slopes overlooking the Mediterranean. 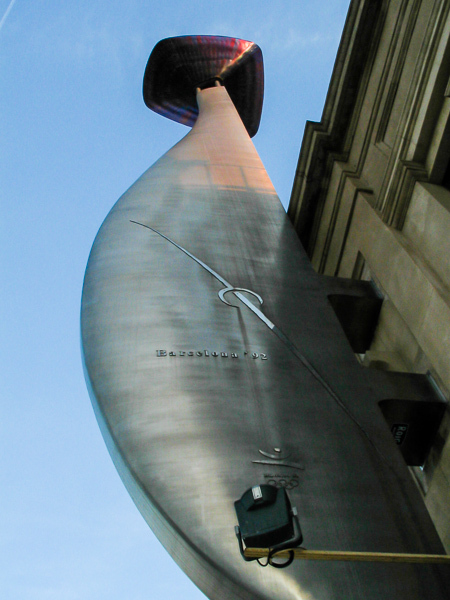 -Stop for a tasty lunch at one of Barcelona´s many delicious restaurants. 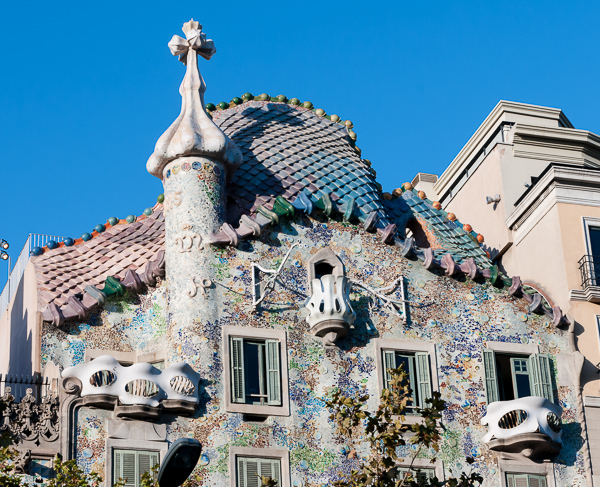 -Gaudi´s knack for domestic designs is apparent at Casa Batllo (outside only) and La Perdera (inside visit), two of his most famous residential works. 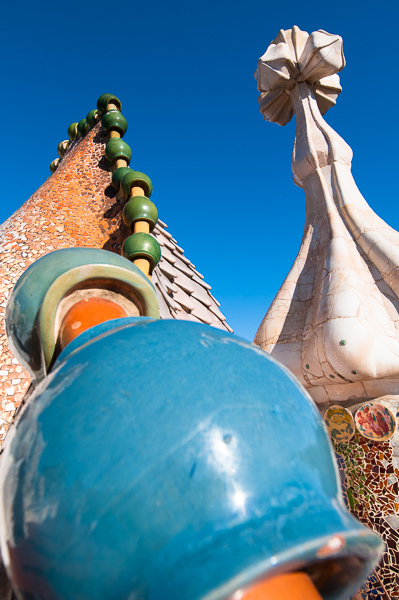 Experience both to conclude your day amid Gaudi's greatness. -An end to a great day; we return you to your cruise ship, hotel, or apartment. 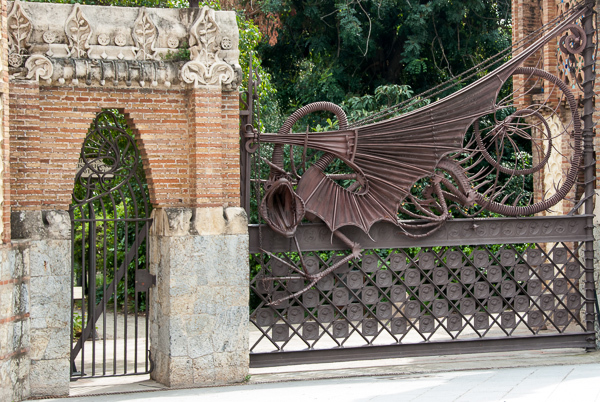 Book Now Click here to begin the booking process for your half-day Gaudi private car tour. 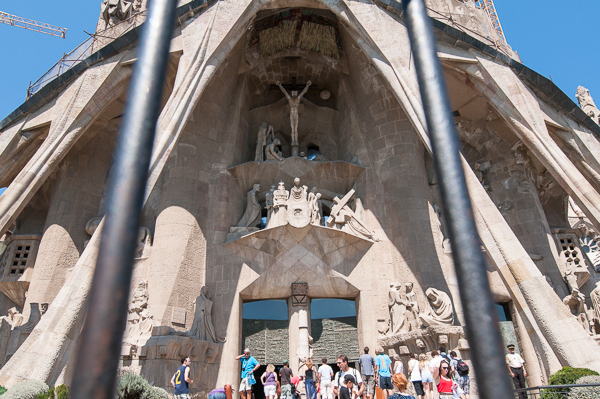 Book Now Click here to begin the booking process for your full-day Gaudi private day tour. Start Times: We suggest you get an early start. You may choose your starting time during the booking process. 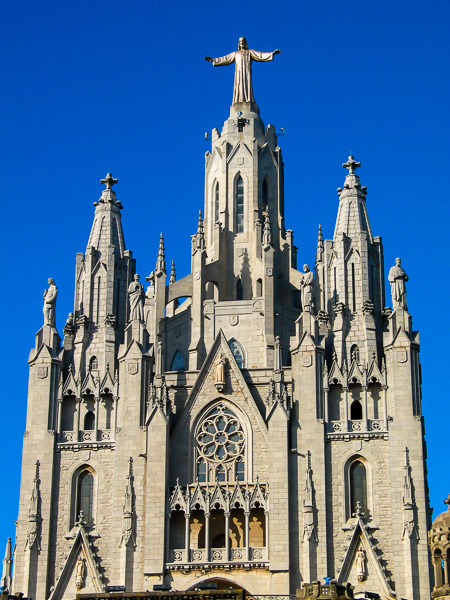 Tibidabo's church with its impressive and accessible statue of Jesus. Some of the best 360º views of the city can be seen from here. Sometimes the birds get the best view of Barcelona. 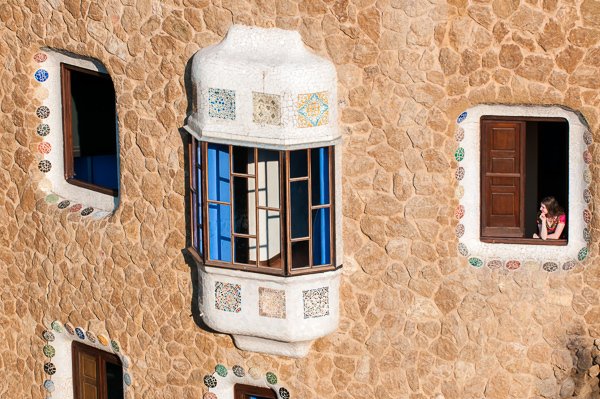 Our High Points tour takes you to the city´s pair of beloved high points, with stops at a little-known Gaudi landmark and the Picasso Museum. This tour is a good fit if you're looking for unique views of the city and views of two of the country´s most unique artists. 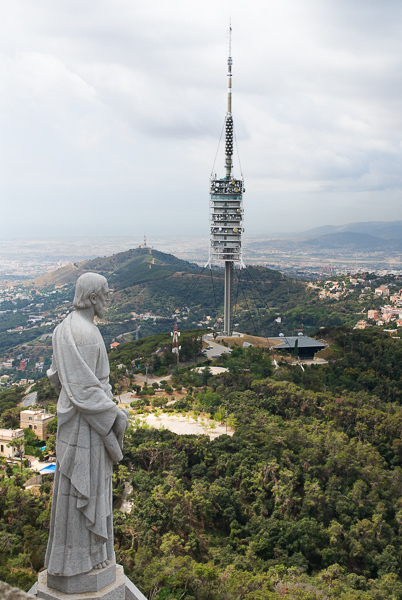 -Ascent of Tibidabo, the tallest point in Barcelona, where you'll enjoy sweeping views of the coast and visit the Church of the Sacred Heart. 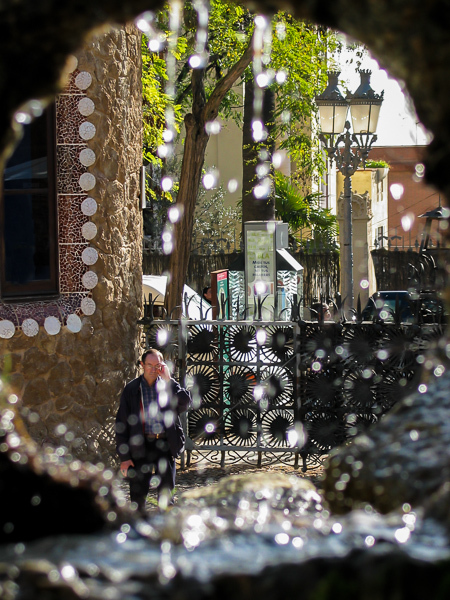 -Head down to the city for a quick stop at the Finca Guell Pavilions, a Gaudi-designed building boasting the architect's trademark imagination. 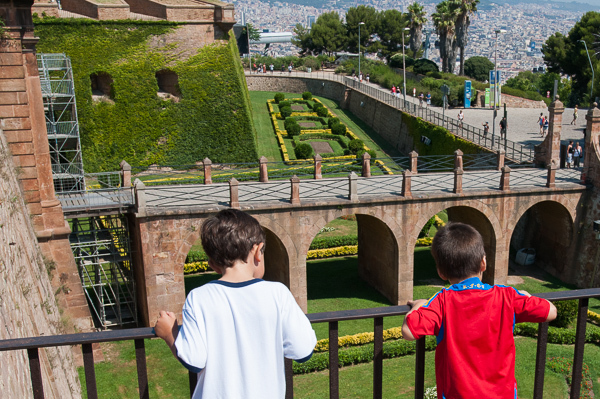 -Rise to the top of Montjuic, home to the main facilities of the 1992 Olympic Games and the site of a medieval fort. -Stop off for a satisfying lunch. 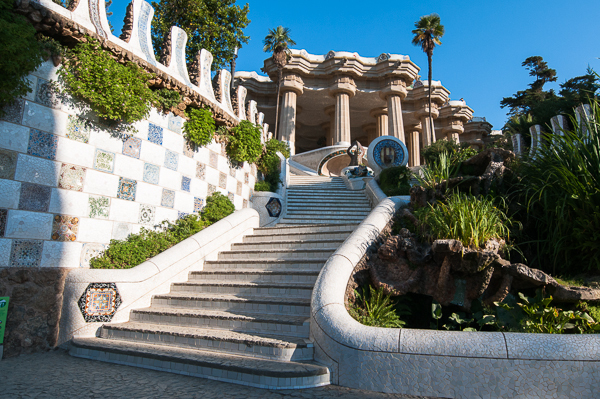 -Walk among the hills of Gaud's Park Guell (entrance fee required), enjoy beautiful vistas from one of the most famous and unique park benches in the world. -An end to a great day; we return you to your cruise ship, hotel or apartment. 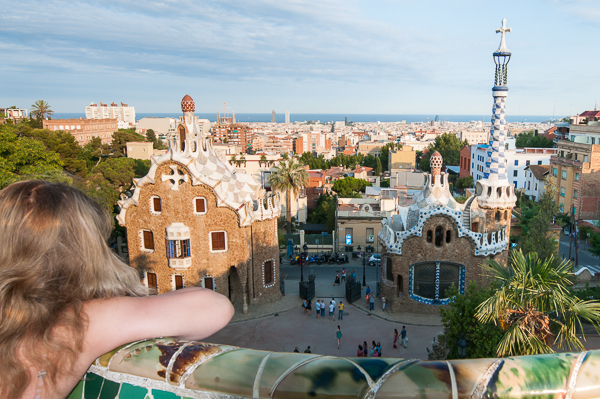 Park Guell Non included on this half day driving tours unless you specify during the booking process. Book Now Click here to begin the booking process for your Barcelona High Points half-day private car tour. Park Guell 10 € per person for Advanced Tickets to Park Guell (add to price of tour). Book Now Click here to begin the booking process for your private Barcelona High Points full-day car tour. Start Times: Choose during the booking process. We suggest an early start. Transportation: Private car with driver is provided with this tour. Fuel, tolls, parking and all associated fees with the vehicle are included in the price of this tour. Why Do a Private Driving Photography Day Tour? 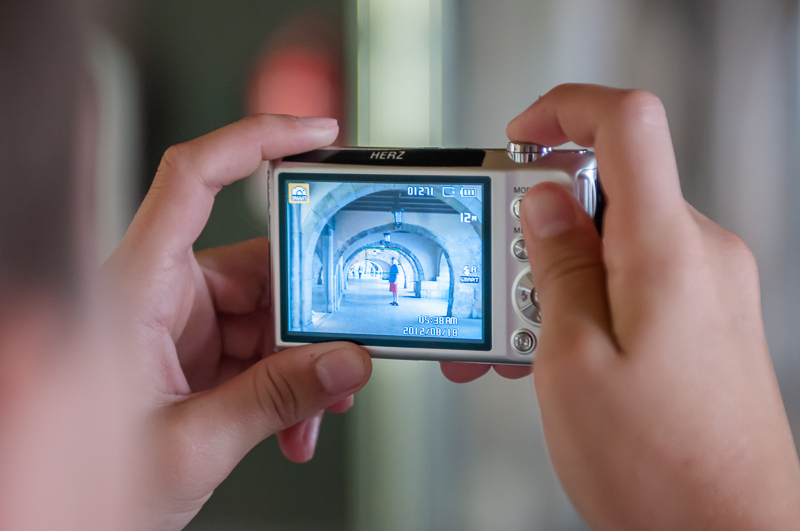 Create a more complete interpretation of the city, chase elusive shots as the sun fades and have the city at your fingertips as you, your professional photographer and your driver move from site to site to get the perfect shot. 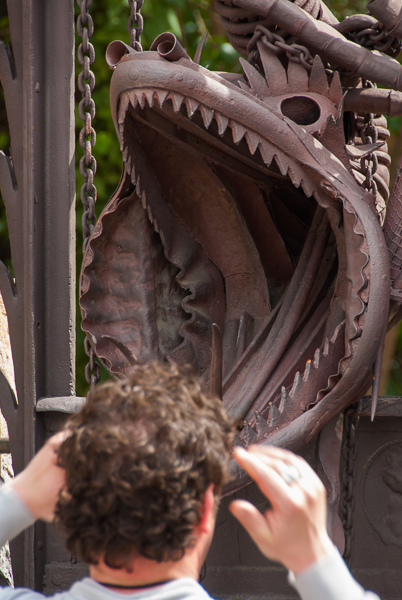 We thoroughly enjoy our walking tours. However, walking tours are limited by time and energy. Driving tours are not. 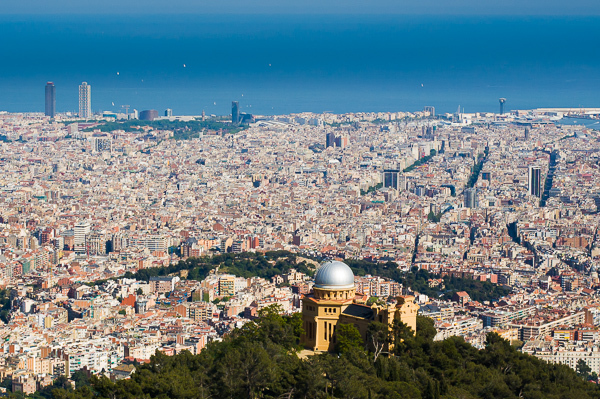 Venture from the shores of Barceloneta to the heights of Tibidabo in a matter of minutes. 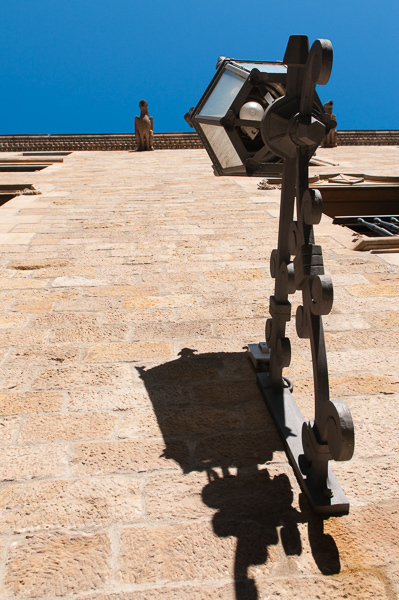 Fill your memory card with photos of the Sagrada Familia, then focus on the somber stonework of Montjuic´s castle. Few sites are out of reach during one of our driving photography tours. Few settings are out of reach, too. Our professional photographer knows the way the Mediterranean sun falls on the city during the morning, afternoon and evening. 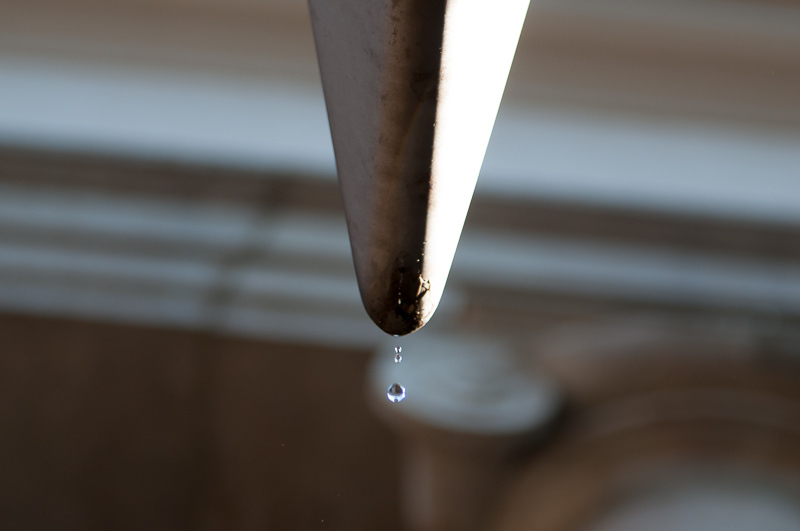 We'll make sure you are at the right spot at the right time of day to take the photo you've always dreamed of taking. As we drive and walk through the photo-ready streets of Barcelona, we'll break down seemingly complex terms – aperture, f-stop, ISO, shutter speed – into simple concepts. You´ll feel the important shift in which your control over your camera goes beyond your camera's control over you. That little green box on your dial that indicates the automatic setting? By the end of your private driving tour, you'll have the knowledge to kiss that little green training-wheel goodbye. 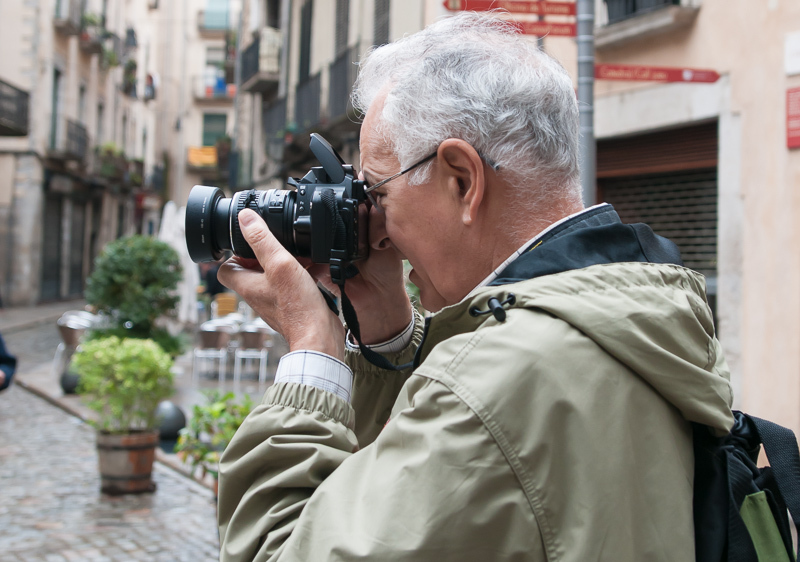 Barcelona's beautiful, fascinating sites will serve as the backdrop for your photography tour. Our professional photographers will teach you how to visualize your photo, then apply the technical aspects of the craft to make that visualization a reality. 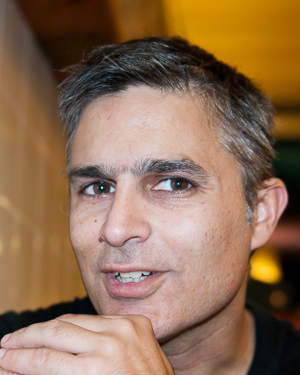 Gaston is a self-taught photographer whose work has appeared in numerous Barcelona travel sites, KLM Airline´s Barcelona page and several popular Spain-focused publications including "Living Spain" magazine. Book Now Click here to begin the booking process for your 1/2 day private car photography workshop. Book Now Click here to begin the booking process for your full-day photography workshop by private car. Choose your starting times as needed during the booking process. However, getting an early start will be to your benefit (less people, nice light etc.) Contact us about your specific requests. Transportation: This tour includes a private car & driver to provide the ultimate in flexibility, efficiency and comfort. Unsatisfied with this itinerary? Questions about our tours? Do you have special needs? Incentive program, large group, etc.? Contact us to start a dialogue about what you need and when you need it. Do you like what you´ve read about our different private shore excurions, but you´ve got something else in mind? Maybe an early-morning walking tour of the Old City combined with a quick trip to Montserrat in the afternoon. Perhaps you´re in the mood to mix a bike tour with a taxi tour of Barcelona's chic fashion scene. Or maybe you want your tours to be about your children – kid-friendly restaurants and tourist sites. "No pasa nada", as we say in Barcelona. No problem. Much like the legendary painters, poets and musicians that have walked Barcelona streets, we don´t mind implementing a little creativity to make something amazing. Tell us what you have in mind. We'll do the research, create an itinerary based on your requests and talk with you to fine-tune it. Flexibility. Creativity. Attentive service. We put them all to work for you. About These Prices These are base prices for our tailor-made driving, private car tours. Prices may or may not change depending on your group size, options and your final itinerary. Get Started Contact us to get started on your tailor-made private driving tour. Larger group size? Special needs? Contact us to start a dialogue about what you need and when you need it.